The RN3320 is a remote controlled navigation receiver designed to receive and convert VOR and LOC signals on up to 200 channels in a wide frequency range plus an integrated glideslope receiver to support receiving and converting GS signals. It is designed for installation in the avionics compartment. The design with its smooth surface, without ventilation slots saves space and makes installations more flexible. Additional features like the possibility to connect a remote DME unit and the supply of a navigation-composite signal to an external VOR/LOC converter round out the design. A further benefit is the flexibility in the selection of indicators by the equipped standard ARINC interface. 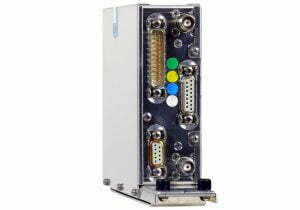 The RN3320 can be controlled by a control unit or a remote management unit (CU5301 or RMU5000 from Becker). The RN3320 thereby provides product performance and low cost of ownership in the Business & Commercial Aviation and Special Mission market segments. Together with the dedicated mounting equipment, the RN3320 represents a well suited solution for installations in various types of aircraft. RN3320 complies with ICAO requirements Annex 10 FM immunity and is JTSO certified for either VFR or IFR operations. Suited for fixed wing and rotary wing aircraft, the RN3320 is applicable with other Becker equipment, such as the VHF COM, ADF and Mode S surveillance systems.